We offer tens of thousands of arrangements and so to make it easier for you to find the right song we have had great fun selecting arrangements that fit into certain specialty categories. 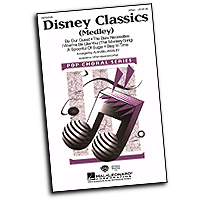 We have Disney songs, TV theme songs, movie songs along with great artists such as The Beatles and the Motown groups. You will find some great stuff here! The first film was a sleeper hit. It received positive reviews and is financially successful, grossing over $115 million against a $17 million budget. A sequel was made and released in 2015, to much greater success, grossing over $287 million. 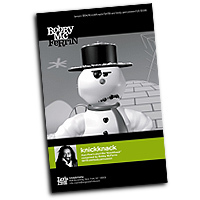 The series has since gained a cult following and the second film is the current highest grossing musical comedy film of all time, beating School of Rock's record. The third film is set to be released on 2017. 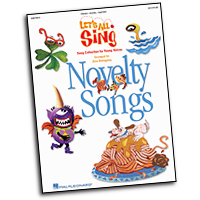 A novelty song is a comical or nonsensical song, performed principally for its comical effect. We all enjoy a good laugh and a novelty song is always a great way to lighten the mood. 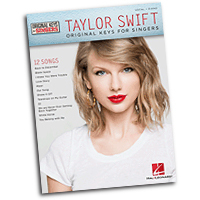 They are fun for the singers and audiences alike and are a great addition to your repertoire. Quite possibly the world's best songwriters, and certainly one of the most popular, The Beatles music is sure to become timeless and enjoyed for generations to come. 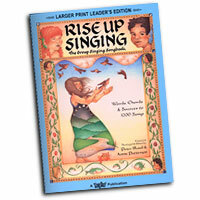 Here we offer a collection of their songs arranged for harmony voices of all levels of ability. 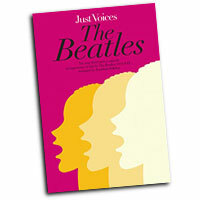 Everybody's repertoire should include some John Lennon and Paul McCartney songs! 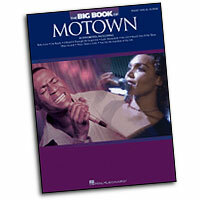 Motown became the heartbeat of American pop music. With multi-platinum artists ranging from the Miracles, Temptations, Four Tops and Supremes to Marvin Gaye, Stevie Wonder, and Jackson 5, the House That Gordy Built had and has no rival. These songs are ingrained into the American musical culture and will become timeless standards for generations to come. 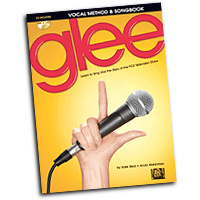 Since its debut, GLEE has become a bona fide cultural phenomenon, received prestigious honors, including a Golden Globe Award and a Peabody Award, and singlehandedly made glee clubs cool again. 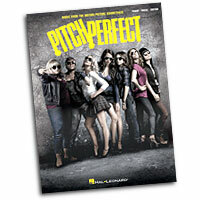 The series boasts critical acclaim, a die-hard fan base, two Grammy Award nominations, two Platinum and five Gold albums, more than 53 million songs and more than 13 million albums sold worldwide, two sold-out concert tours, a 3-D movie, four Emmy Awards and three Golden Globes, including the award for Best Television Series - Comedy or Musical. The series reached its milestone 100th episode this past season with a memorable rendition of the hit that put the show on the map, "Don't Stop Believin’." Many successful performing artists have published arrangements of their music. 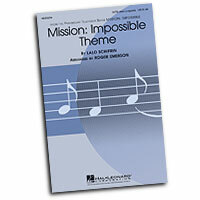 iWe have a wide selection of personality songbooks and sheet music both for solo voices and harmony arrangements. 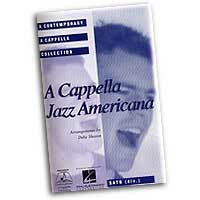 One of the great things about the vocal band and contemporary a cappella movement is the advent of vocal percussion. Around for many years, vocal percussion is now an integral part of so many of the best groups out there. Even if you've never tried VP, you can imagine by watching your favorite percussionist that, wow, this stuff is hard - and amazing to listen to. 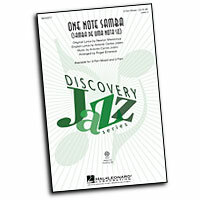 Bossa nova is a genre of Brazilian music, which was developed and popularized in the 1950s and 1960s and is today one of the best-known Brazilian music genres abroad. The phrase bossa nova means literally "new trend" or "new wave". Walt Disney Studios have included great songs in their animated movies from the very beginning and continue to produce wonderful musicals on a regular basis. Everybody knows the classic Disney songs and audiences and singers alike will enjoy performing and hearing these favorite songs. Rooted in African-American spirituals the blues are a uniquely American musical genre. 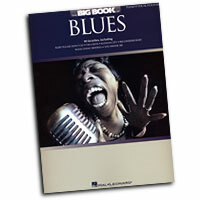 Here we offer a selection of blues songs arranged for mixed, male and female voices. 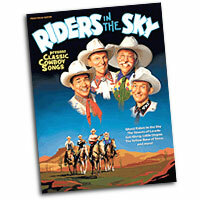 Get some giddy up to your repertoire by adding classic cowboy folk songs to your concert material. The human voice is able to create all kinds of wonderful sounds so why be limited by the human vocabulary. 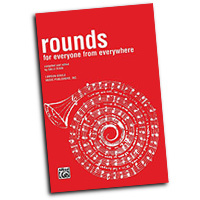 This collection of arrangements contains hardly a word that can be found in a dictionary but rather offer a wide variety of sounds and wonderful noises that your choir is sure to enjoy performing. 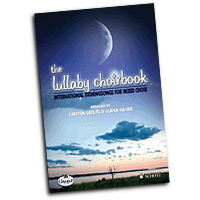 No better to sing a baby to sleep than with these lullabies arranged for harmony voices. Balance out those high-energy songs and change the pace of the show with a gentle soothing lullaby. While we have a whole section on our web site dedicated to musicals there are also many great songs that come from TV shows or movies that are not considered musicals. Many of these are theme songs but also include songs that were featured in a movie. Lots of fun here! 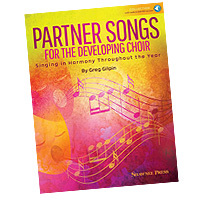 A great way to introduce young singers to part singing is with partner songs. Partner songs are melodies which fit together in such a way that they sound good when performed together. They are melodies performed as independent musical voices. 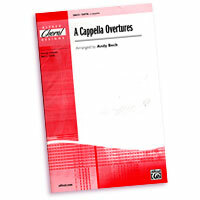 Because two or more melodic voices are performed at the same time, harmony is created. 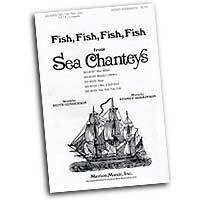 A sea shanty, chantey, or chanty is a type of work song that was once commonly sung to accompany labor on board large merchant sailing vessels. The term shanty most accurately refers to a specific style of work song belonging to this historical repertoire. However, in recent, popular usage, the scope of its definition is sometimes expanded to admit a wider range of repertoire and characteristics, or to refer to a maritime work song in general. Not everybody is a fabulous singer but everybody sounds wonderful in a sing along. More importantly singing with friends, family of camp mates is a whole lot of fun so here we offer of songs suitable for any harmonious gathering.